The Maaaaa of Pricilla: TerrorGoat Strikes Again! I do not think we will ever be safe on the Farm again! 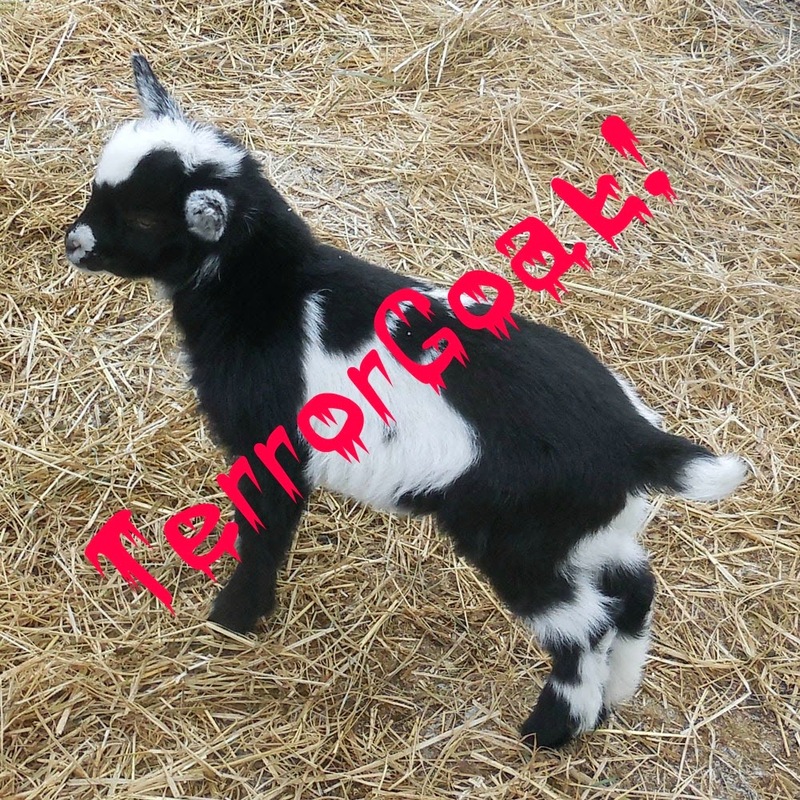 Not while TerrorGoat resides here. He is nothing but TROUBLE! The publicist puts him in his pen with his nanny but does he stay there? He goes in the pen with the Big Boys. He seems to think HE is a big boy! He plays with them - look at him give as good as he gets with Rudy the goat! Did you see that stare in the first photo! He thinks he's a ToughBuck! HE IS ONLY ONE WEEK OLD! He tries to bother me THROUGH the fence. He tries to escape through the gate. That's not gonna work kid. When he wants a drink he goes back to the other pen, has a bit of milk and comes back to the big boys. I will never find peace with this TerrorGoat around, will I?